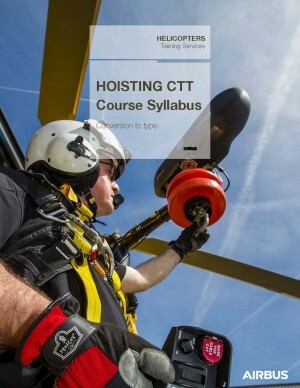 This document describes programs of initial and conversion to type (CTT) onshore hoist operations training courses for pilots. 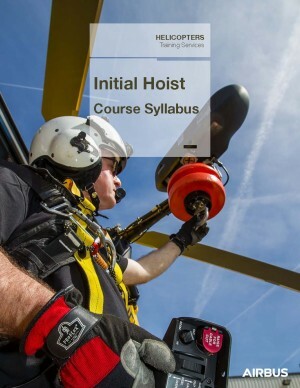 Initial training course aims to deliver the mission capability; or when trainees are already mission capable on another type of helicopter and need to be trained on a new helicopter for the onshore hoist mission. The course is called conversion to type. These programs are valid for any aircraft. When the aircraft is fitted with the AFCS hover mode the use of this mode is included with no additional training item when applicable. Be able to prove a minimum experience of 20 flight hours as helicopter pilot on the type or have a valid instructor qualification on the type. Be capable of reading and understanding the official maintenance documentation, and have the ability to write and communicate in comprehensive English, to prevent any misunderstanding. Otherwise, an English interpreter must attend the course (additional cost).